Artists, progressives, and urban sophisticates are naturally drawn to Bernal Heights’ warm and inviting atmosphere. This idyllic neighborhood provides a welcome break from the rhythms of San Francisco City. Nicknamed “Maternal Heights” by locals, the sunny climate, stunning views, and friendly people will make you feel right at home. 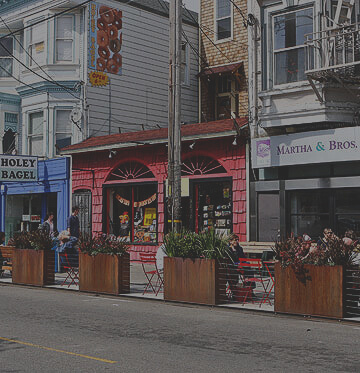 Surrounded by Noe Valley, Mission District, Portola, and Diamond Heights, this quiet enclave will captivate you with its offbeat charm and a dazzling array of specialty shops and restaurants. Bernal Heights has one of the hottest real estate micro-climates in the country, but it is also perceived to be a balancing market where supply and demand for housing are expected to level off at some point – which is another reason to contact Jeff for his market expertise.In any case, it helps to have a seasoned real estate professional on your side. Call me, Jeff Salgado, at 415-915-9916 or send me an email at jeff@jeffsalgado.com. The housing stock consists of single-family homes, multifamily homes, and condos. Victorian, Edwardian, and Mid-Century are the dominant architectural styles. Most homes have one to three bedrooms, two to three bathrooms, and one or two-car garages. Plush master suites, custom cabinetry, and finished basements are common features. Luxury homes are often decked out in high end designer finishes. It’s not unusual for these homes to have gourmet kitchens, spa-inspired bathrooms, and verdant outdoor space. Residents enjoy efficient public transportation in the form of Muni streetcar lines and the BART. The San Francisco International (SFO) Airport is just a 20-minute cab ride from here. Here you’ll find a good number of green spaces, as well as plenty of shopping and dining hotspots. Come to Bernal Heights Park for sweeping views of Noe Valley, the Golden Gate Bridge, and the Mission. Feel the breeze and watch red-tailed hawks fly overhead. Dirt trails flank the area and lead to Bernal Hill’s summit. Holly Park has basketball and tennis courts. It also has a wonderful children’s playground with swings, slides, cargo ropes, and fun playhouses. A picnic area is also available. Precita Park, one of the neighborhood’s pet-friendly spaces, has a deluxe children’s playground and picnic tables. 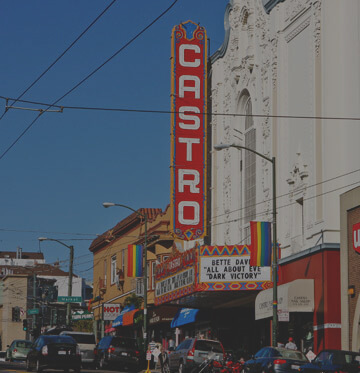 Familiarize yourself with the work of local filmmakers at the annual Bernal Heights Outdoor Cinema. You can look forward to four nights of film screenings and Q&A sessions at various parks, playgrounds, and small venues around the neighborhood. Buy fresh produce and local goods at Alemany Farmers’ Market. This weekly farmers’ market takes place on Saturdays and is known for have some of the best prices around. Discover shops, cafés, and restaurants at Cortland Avenue, the neighborhood’s main commercial strip. Check out the raw bar at Ichi Kakiya. Pacific clams, raw Hokkaido Japanese scallops, and over six varieties of West Coast oyster are available. Chicken fried steak, catfish, and fried okra with jalapeno aioli are just some of the tasty offerings at The Front Porch. The restaurant’s laid-back and cozy atmosphere is perfect for lunch dates and small get-togethers. Visit Mitchell’s Ice Cream for classic flavors like rocky road, chocolate chip, and strawberries and cream. Step out of your comfort zone and try unconventional ones like purple yam, halo halo, and lucuma, a Peruvian fruit. 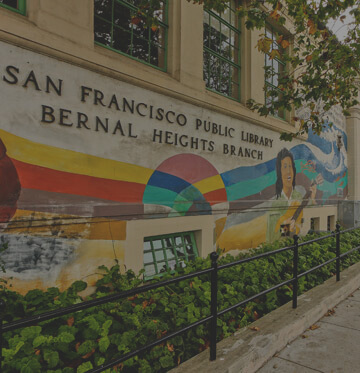 For more information, visit the Bernal Heights Neighborhood Center (BHNC) website.